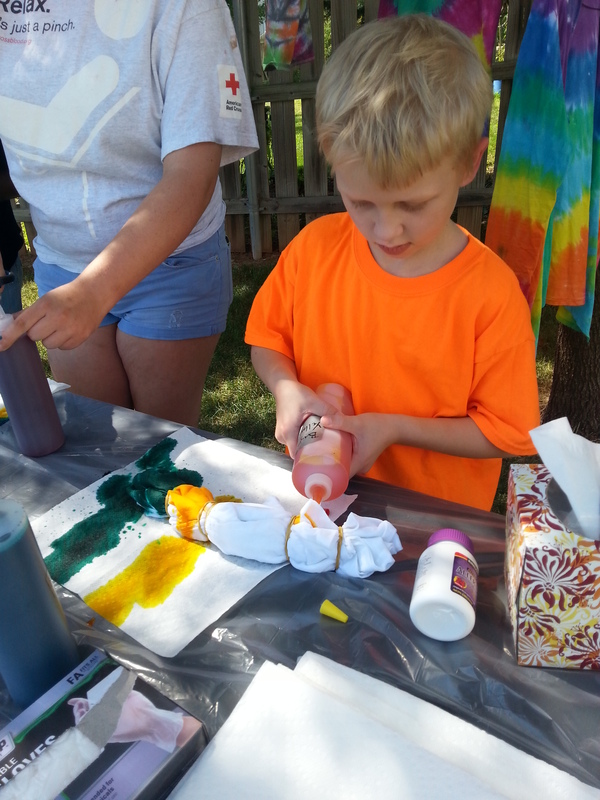 I love my grandkids, which is why I have Camp Oma every year. This year I had between one to six kids, and one to three dogs here from June 21 to August 6, longer than usual. Lots of camps this year. Lego Camp, Writing Camp, Hockey Camp, and Theater Camp. Oh yes, add in vacation for parents. We also went to the zoo, the bounce house, tie-dyed at a neighbors house, spent time at the park, a few dinners out, and don’t forget the xbox and chill time at our house. Did I love it? Yes! Am I tired? Exhausted! Is it a sacrifice to use my time like this? Yes! Will I do it again? 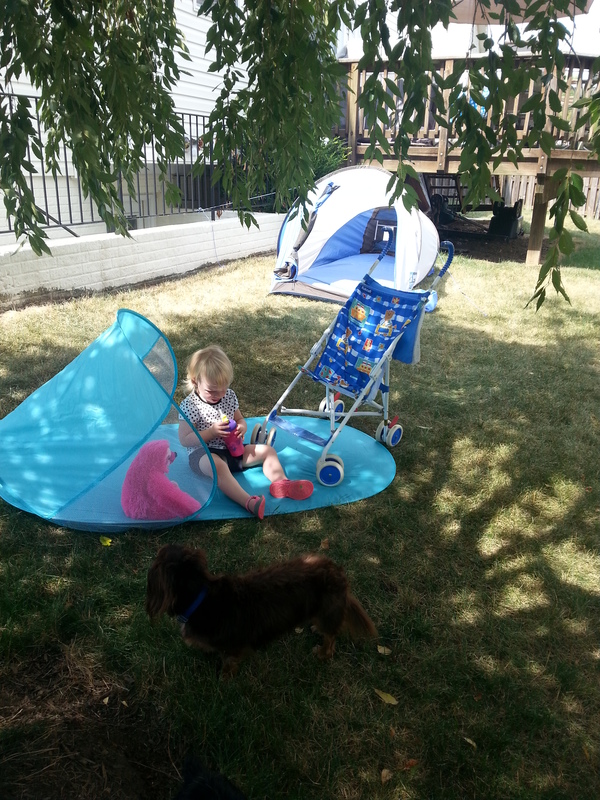 As long as they want to hang out with their grandma and grandpa aka Oma and PopPop, we will be here. Too soon they will have friends and jobs that will take their time. They will love us from afar, partly because we took this time with them every year. Good memories for all of us. 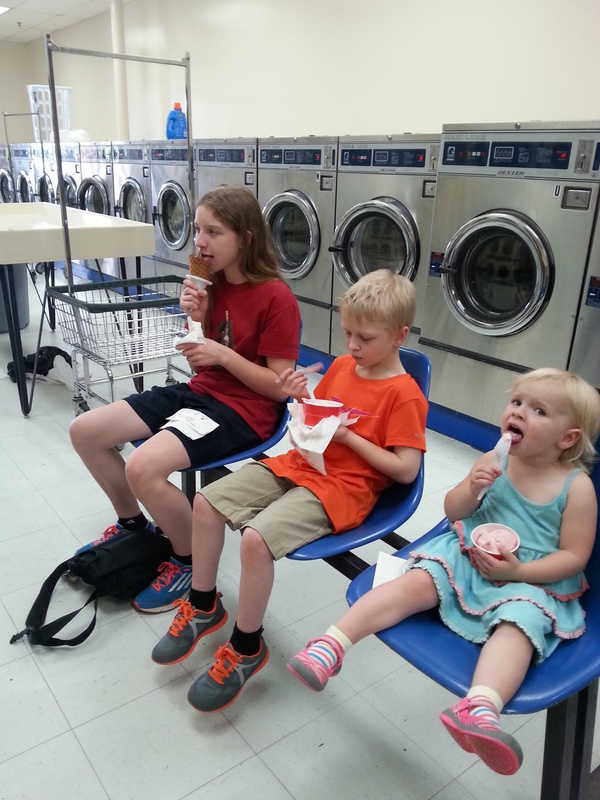 What do you do with kids ages ranging from 3 to 14? I need ideas for next year! 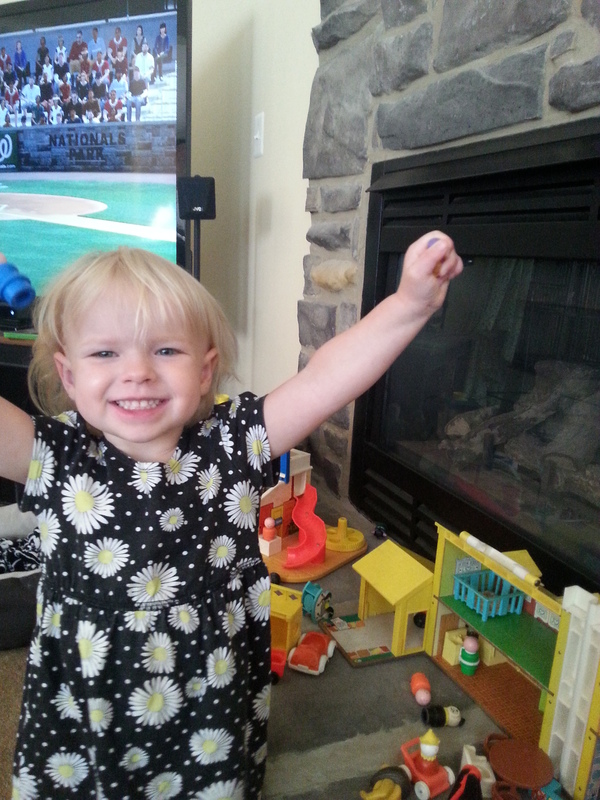 The best toys for 3yo were the Fisher Price little people her mother used. 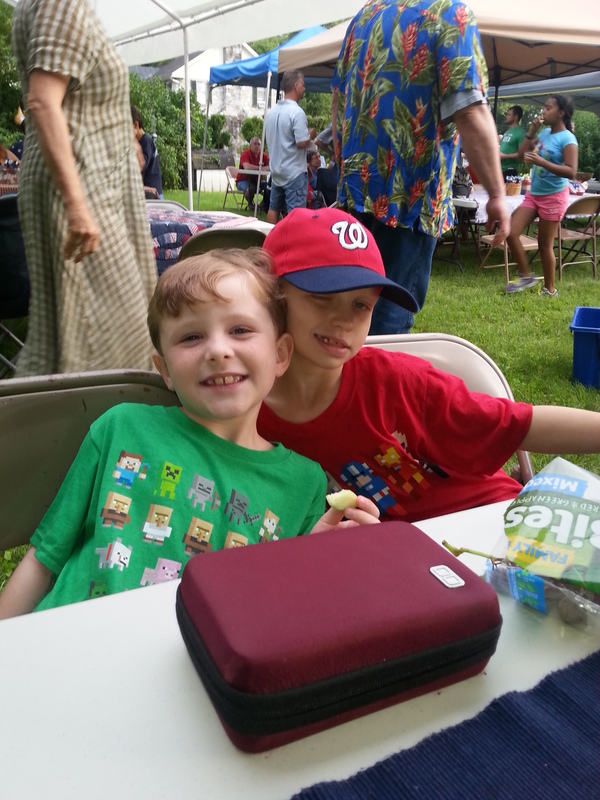 Fourth of July picnic. Caught the 7yo & 9yo cousins in a rare sitting moment. They slept well that night. 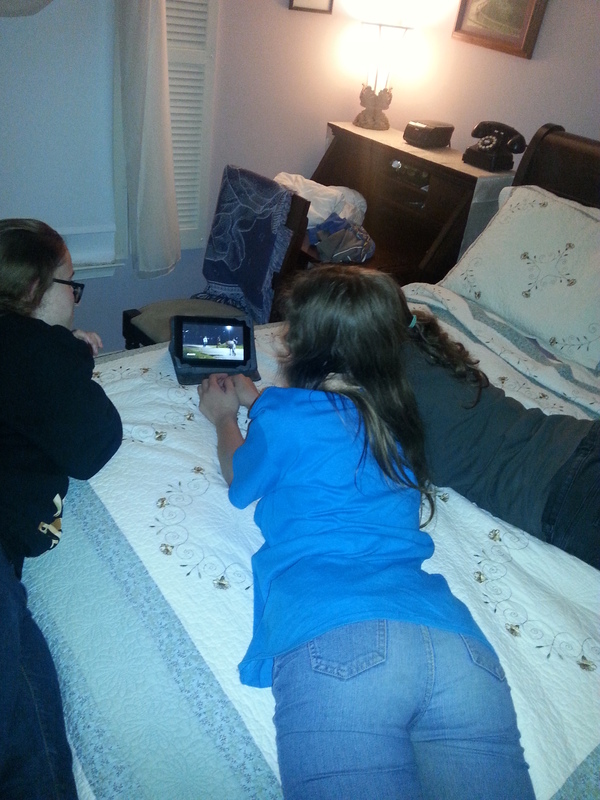 Three 14yos cousins in their natural habitat – huddled together looking at silly youtube videos and laughing like crazy. 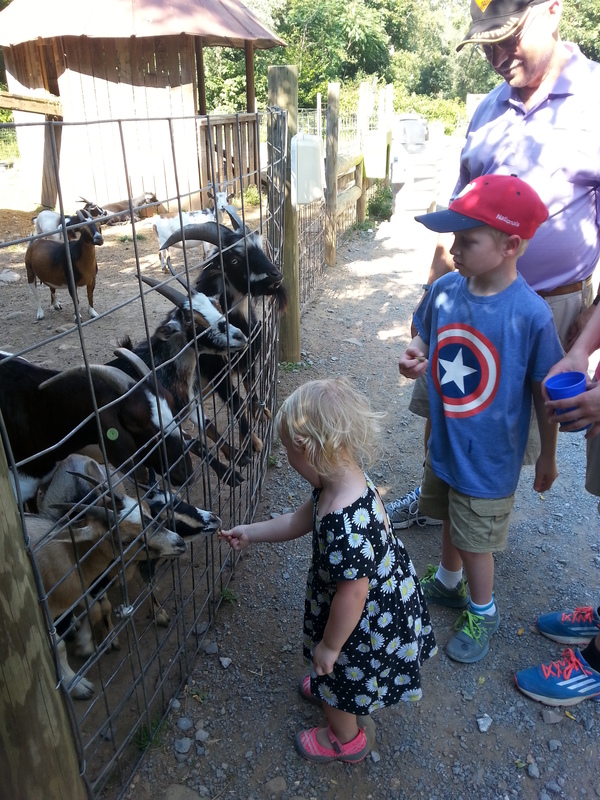 It took a while, but she overcame her fear and fed those goats. Just before they went home, my dryer broke. 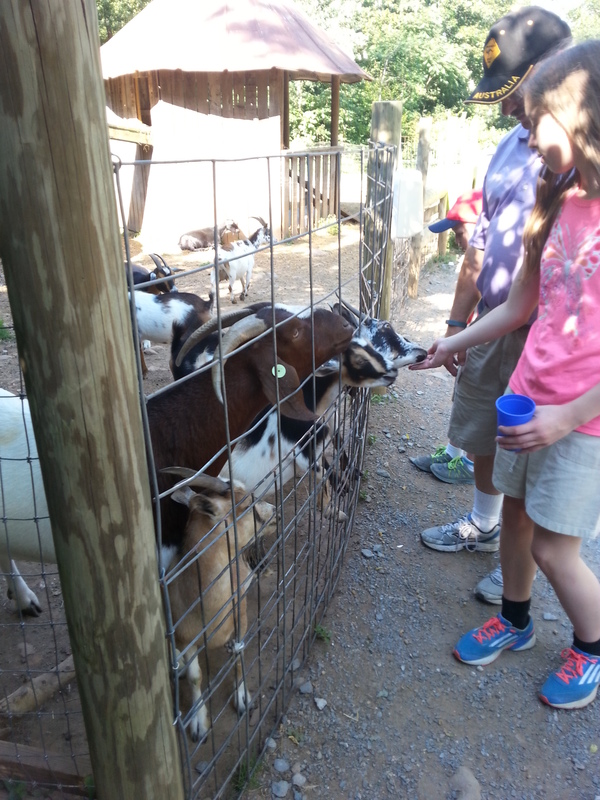 They were rewarded for good behavior. 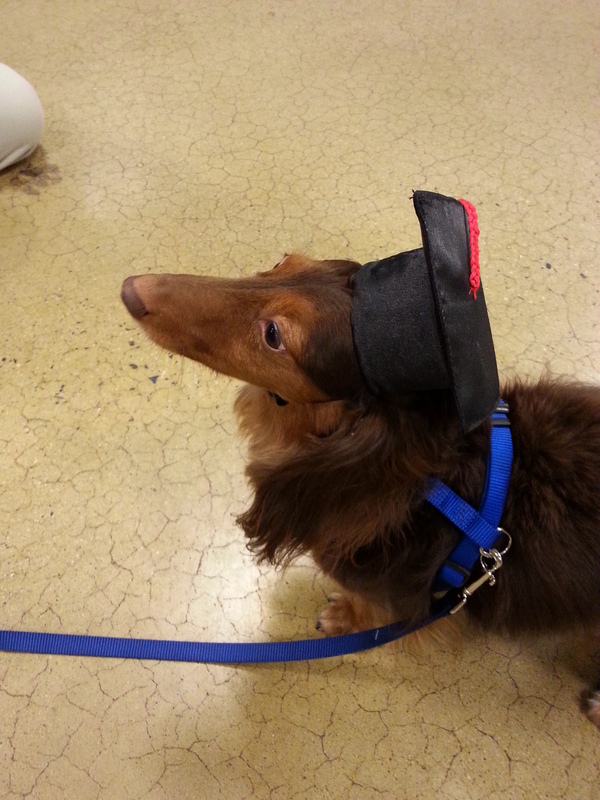 In the middle of July, Fluke graduated his beginner class. He was such a good boy. Posted by TeresaQuill on August 24, 2015 in Senior stories, Uncategorized and tagged dog, grandparent, seniors, summertime. Teresa writes light hearted cozies set in Skeeterville, Md, a small town with ornery seniors living in an apartment building. Death happens. . . Skeeterville Seniors find out why. 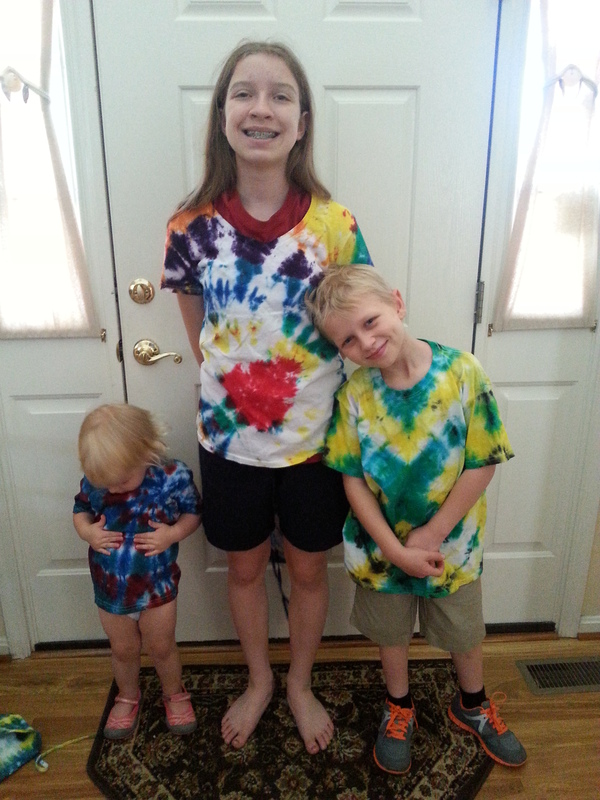 Teresa lives in Frederick Md with her personal hero, one noisy parrot, and two needy long-haired dachshunds.